As we approach mid-February and the (hopefully) waning days winter, all of us have begun counting the days until we can once again enjoy some consistent riding (yes, SoCal, we know you can ride comfortably year-round. I don’t want to hear about it). It’s a cycle that those of us in cold-weather states have to endure every year. Spring is when everything becomes new again, and Alpinestars is following that cycle by resurrecting their classic Oscar by Alpinestars line. As part of this collection, Alpinestars is introducing three new gloves which are sure to be a hit, particularly with the retro/cafe crowd. First up is the new Alpinestars Bandit Gloves. 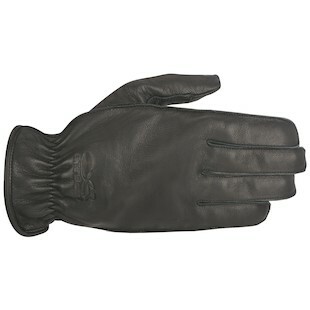 This is the entry level glove in the Oscar by Alpinestars line, and as such it is a bit more basic than the other two. The Bandit has a classic look and features full goatskin construction with a double reinforced palm and accordion stretch wrist. Comfort was a clearly a priority with these gloves, as they also feature an accordion stretch wrist and external stitching, which will prevent and discomfort from rubbing seams. For a solid, retro glove at a relatively low price point, look no further than the Bandit. Next in line are the Alpinestars Robinson Gloves, which is a step up from the Bandit. 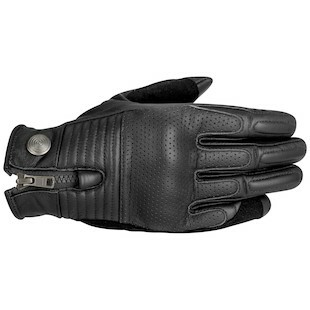 Like the bandit, it features full goatskin construction, but with a fully perforated back of the hand. Some extra protection is included, with EVA foam padding on the knuckles and palm. Fit will be slightly better as well, as the Robinson comes with pre-curved fingers. The wrist enclosure is different, and is actually a bit deceiving. While it looks like a snap enclosure, it is actually velcro. A very nice touch, in my opinion. If you live in a warmer climate, I would choose these over the Bandit. 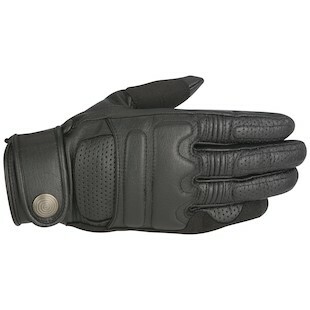 Lastly, we have the Alpinestars Rayburn Gloves, which is the top glove in this line. Full goatskin construction is featured again, but protection is amped up. Perforation is prominent on the top of the glove again, but ventilation could be a bit better. Just like the Robinson, the fingers are pre-curved to ensure a natural fit. Polyurethane knuckle protection makes these rock solid, and Clarino is used to reinforce the palm, grip panel, and outseam of the glove. The wrist is elasticated and closes with a zipper, and a classic Oscar by Alpinestars spiral logo is featured. All three of these gloves come in two colors, black and tobacco (technically tan with the Bandit), to suit your preference. The bleakness of winter will be ending soon, and nature will wake up for another cycle of warm riding weather. Follow suit with some new Oscar by Alpinestars gloves.